Ahh the sacrifices I make to not waste any food. I had seen this recipe on The Smart Cookie Cook blog﻿ and knew I would have to make them. By making both these cookies and the Pumpkin Turkey Chili on the same day I was able to use the whole can of pumpkin puree. It's not one of those things you can easily throw in the fridge and say "I'll just make a little somethin' with that tomorrow." These cookies are yummy. I already know they won't last more than a day or two. You should bake these. Immediately. 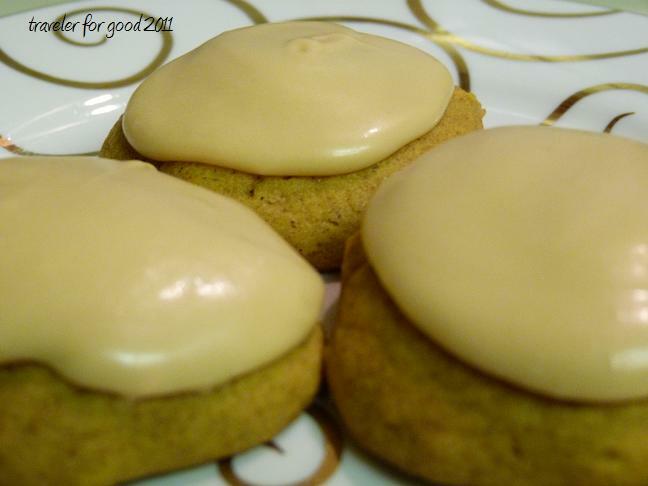 Please click here to see the original recipe over at The Smart Cookie Cook. At a training class on Friday I asked everyone their favorite thing about fall - and one of the answers was boots. 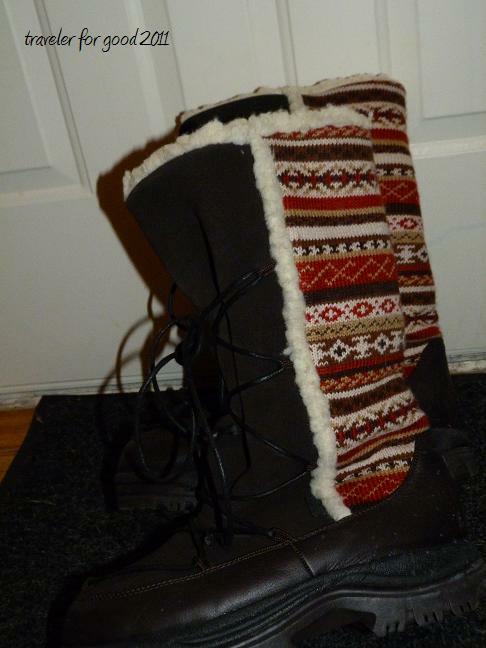 It's not quite cold enough for these yet, but they are great for walking the Chey dog in the snow. A friend had seen my post on FB about this recipe and asked if she could have some. Yesterday my sister gave them to her and this was her response: ﻿"So I just wanted you to know that I ate a couple of the cookies on the way to my blood test this afternoon and after almost two weeks, my results were not only passable but ideal. Clearly those were the missing factor in my recovery! Thanks!" Thanks so much for including a blurb about Soles4Souls and the Flippin' Good Deeds Challenge! We're so glad that you're participating. Good luck! 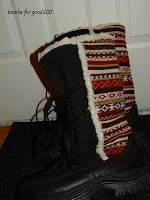 It's a fun challenge for a great cause - especially figuring out how to incorporate shoes into each post! Oh I'm so glad you tried the cookies! Aren't they delicious? ?